One of the intersections identified for the proposed Highway 40 project is the intersection with County Road 72, which could potentially be turned into a roundabout. 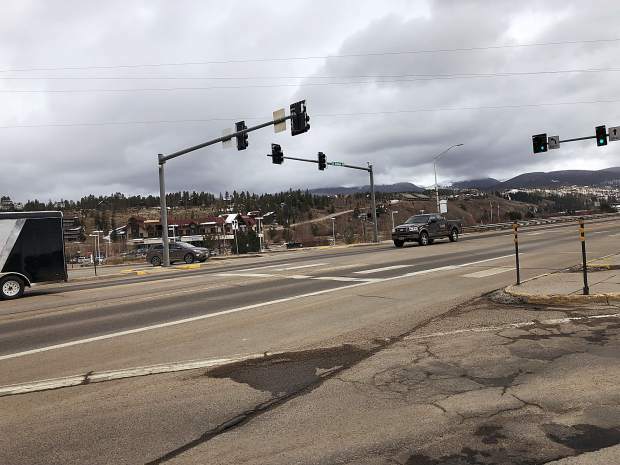 Road improvement projects in Grand County have been shelved after propositions 109 and 110, which would both provide funding for transportation initiatives, appeared headed toward failure as of 10 p.m. Proposition 109, otherwise known as “Fix Our Damn Roads,” was losing by a margin of over 300,000 votes. Proposition 110, better known as “Let’s Go Colorado,” was losing by more than 340,000 votes. Both propositions would have funded Highway 40 projects in Grand County, including one that would have improved two intersections in Fraser, as well as widened Highway 40 in Fraser and Kremmling. Proposition 109 would have authorized $3.5 billion in bonds to fund statewide road projects — primarily bridge expansion, construction, maintenance and repairs. The initiative would have left it up to future legislators to find a way to repay the debt from the state budget. Proposition 110 would have raised the state’s sales tax rate by 0.62 percent for 20 years to fund transportation projects. McKenna Harford contributed to this report.